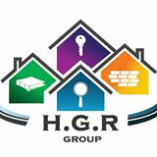 At HGR Group we pride ourselves on our quality, personalized service, professional workmanship, and competitive pricing. Our company has earned a reputation as being among the area’s finest inspectors. We are continually introducing innovative technology along with the most advanced techniques in the industry. All of our employees are skilled professional, with the proper training, and a minimum of 7 years experience. Expertise and dedication to your needs provides you with a professional commercial and residential inspection experience. We add Value to your investment by providing accurate reports that convert into insurance savings with a 95% rate of non-returned reports for insurance agents. Saving time and money on every report handle.